Years ago, when I started my career in fitness, there were a lot of magazines here in Bulgaria and abroad, a lot of books were published. At that time, the most popular was the book of Ben and Joe Weider. It contained different training principles for achieving muscle mass, shredded body, initial period, competitive period, etc. They emphasized mainly on the workouts. These days, we are more and more speaking about nutrition, supplements, drugs, we are looking for the “miracle” and concentrate less on how we train. Professionals emphasize mainly on the supplements, which they advertise and talk very little about the workouts. However, leading experts are promoting a lot of new and modified old methods. I will acquaint you with them in a series of articles. Every method has its advantages and disadvantages; it is suitable for different types of people at a specific stage of their progress. I will introduce you with my philosophy and if you like it, you can personalize it in accordance with your physical abilities and aims. FST-7 is a training system devised by Hany Rambod after years of research and a great deal of trial and error with many clients. FST stands for Fascia Stretch Training, and the seven refers to the seven sets performed for the final exercise of a target bodypart. A lot of people use this system for overall growth and especially to improve stubborn bodyparts that were seemingly resistant to just about anything else the person had tried. Is fascia limiting your muscle growth? There are three types of fascia in the human body, but the type bodybuilders should be concerned about is deep fascia. This is dense fibrous connective tissue that interpenetrates and surrounds the muscles, bones, nerves, and blood vessels of the body. The high density of collagen fibers is what gives the deep fascia its strength and integrity. The amount of elastin fibers determines how much extensibility and resiliency it will have. In other words, some of us have fascia that is thicker and tougher than others. The most genetically blessed bodybuilders have thinner fascia, which is why their muscle bellies appear to be larger and fuller, with that round ‘bubbly’ look that all bodybuilders covet. Their muscles expand easier. Some bodybuilding experts incorporate aggressive stretching during workouts as part of their training programs. They have the right idea, but stretching the fascia by elongating the muscle is not the best method. FST-7 is based on stretching the muscle from the inside out by volumizing it. This is accomplished by getting the greatest pump possible while training. 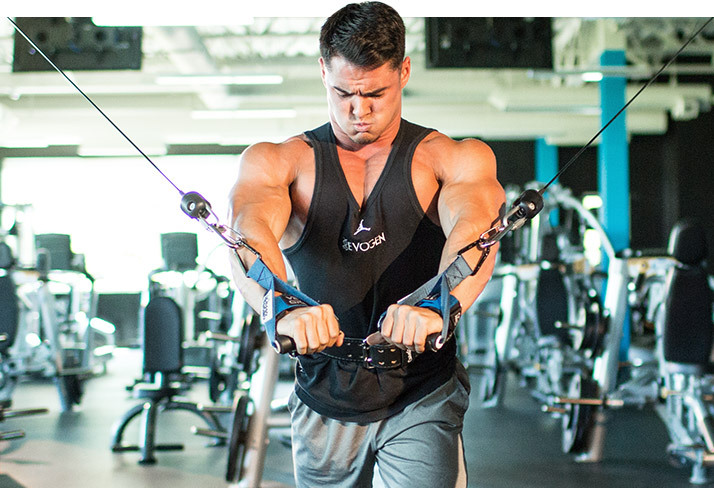 • Be sure to perform the 7 set exercise at the end of each muscle group. This exercise is specifically picked for higher volume. Only rest 30 seconds in between each set during this exercise as it is meant to be the final push before moving on to the next muscle group. • Proper nutrition is absolutely necessary to recover from each workout as they are challenging and demanding. • Try to eat at least 2 meals full of complex carbs (brown rice, oatmeal) and lean proteins (chicken, fish) prior to working out with your last meal atleast an hour before working out. This will create the biggest pump in the gym with maximal recovery afterwards. If you like to workout first thing in the morning, make sure your last meals the day before are the same. • Stay hydrated! This routine will make you sweat. You should be drinking plenty of water throughout your day anyway but take frequent sips during your workout as well. How often can I train bodyparts this way? Why the FST-7 Routine Works? • Compound еxercises utilized. These type of exercises will work the most muscle groups at once, reduce the amount of time that must be spent in the gym, and produce the most muscle growth. • Frequent stimulus. The five day a week training the different muscle groups offers a strategy to focus in and challenge each muscle group individually while keeping you active most days of the week. • Progressive loads. As you move through the program you should be increasing the amount of weight you use for each exercise. In fact this should be done every workout no matter how small the increase in weight. • Active stretch. 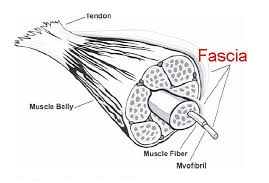 Increasing the stretch in your muscles during the workout via muscle pumps is what creates this fascia layer to lengthen and allow your muscles more room to expand. • Small number of sets. Each day will only involve 3 sets per muscle group. Why? Simply because there has been some evidence that performing more sets than this has been shown to only burn more calories. Yes that would be nice, but you’re here to build muscle and get bigger. Plus the more muscle you have, the more fat you’ll burn. So in the long run you will win at both. Proper nutrition is an inseparable part of the training system. If you intend to eat whatever you want, this system is not for you – it is intensive and aggressive and in such cases, it will do more harm than benefit. Therefore, I recommend it only to people whose intake of high quality proteins is at least 2 g, complex carbs, 3 – 5 g plus the necessary essential amino acids. Of course, there are some subtleties, which are coordinated with the type of workout. As the idea is to pump the muscle to the maximum and enter nutrients and vasculalizators in it, I recommend pre and after workout intake of supplements, which will blow you. Post – workout: 20 g EAA or a dose of whey protein isolate + 2 pills KRE – ALKALYN + 30 g carbs with high GI. Supplementation can be further increased and modified but for a start, I think this is enough.